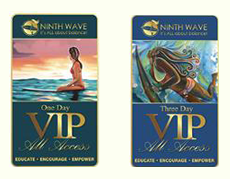 Our life coaching membership grants you access to the Ninth Wave Surf's Up Summit. This is an exciting and uplifting "day spa for the brain" for women who want to take their lives to the next level. The Summit features an array of experts offering guidance in education, creativity, motivation, inspiration, and entertainment. Ninth Wave has created summits for you to attend that are full of edutainment. 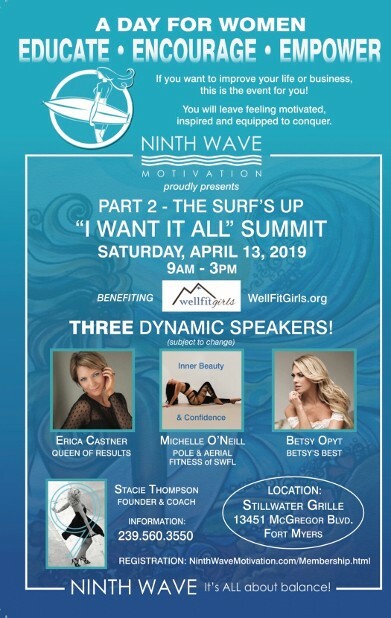 We offer full-day events set 90 days apart featuring awe-inspiring women who understand the essential keys for living a wave-powered life — one that is bold, beautiful, and filled with passion and purpose. Get crystal clear on your most important and fulfilling goals. Learn from others who have already achieved the goals YOU'RE wanting to accomplish. Connect with a "high-five tribe" of women who are committed to seeing other women succeed. Early registrations are rewarded with discounted rates. The best investment you can make is the investment in yourself! Code of Ethics: Ninth Wave offers a high-five atmosphere meaning we do not judge or gossip. THIS IS A JUDGEMENT-FREE ZONE. If you drink alcohol during an event, we expect you to drink responsibly. Ninth Wave is a drug and smoke free environment.